The launch of the new Moto G by Google's Motorola may have come as a surprise to many but in the hindsight, it represents only the completion of what now looks like a logical process, ahead of the next big thing. Google now has two products for its three main mobility categories (laptops, smartphones and tablets), one for entry level and one for power users. The Nexus 7 and the Nexus 10, the Moto G and the Nexus 5 as well as the Chromebook(s) and the Chromebook Pixel. 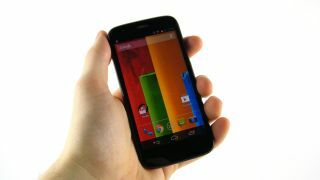 Why the Moto G launched under the Motorola banner rather than as Google remains a mystery. What one can be sure of though is the growing uneasiness of Google's partners, particularly at the lower end of the market. Sure, the Moto G will skip China at launch, officially because the Chinese government blocks some Google services but also possibly to appease the likes of TCL, Huawei and ZTE, powerful allies in the booming Chinese economy who will not want to see a frenemy infringe on their turf. It appears however inevitable that Motorola's latest smartphone will have the same effect on the entry-level ecosystem as the Google Nexus 7, causing big names to abandon the lower end of the Android smartphone market or cut margins (offering more for the same price or the same thing for much less) to compete with no-names. Google, being in control of an entire ecosystem, is essentially Intel and Microsoft combined into one entity. Wintel, as the duo was commonly known as, shaped the world of desktops and laptops for decades but neither was as influential as Google. The latter has the ability to shape the actual device. Neither Intel nor Microsoft ever actually managed to build mainstream popular, traditional computers that went on to have a significant impact on the market because they were disproportionately powerful players in their own realms. Google however faces no Intel equivalent in a fragmented hardware market where it can pick and choose partners at a component level. And its influence in the Android market is important. According to 51degrees, Google (including Motorola) now accounts for one eighth of all Android devices in the UK, sitting fourth on the list with more than double its marketshare from 12 months ago. In the US, Google is comfortably the second biggest player in the Android ecosystem behind Samsung. It now seems clear that Google is engineering a long-term process aimed at reducing the clout of Samsung and clearing out the market ahead of the next big thing which is the demise of Chrome OS and the launch of Android 5.0. The latter is likely to unify all three mobile platforms (keyboard enabled, big screens and small ones) as alluded to by Sergey Brin, Google's co-founder, in November 2009 and explains why Google named Sundar Pichai, the head of Android as the one in charge of Chrome and Apps, in lieu of Andy Rubin. This opens a window of opportunity (no pun intended) for Microsoft which might try to convince disgruntled Google device partners to join the Windows Phone band, although given the company also owns Nokia, brands might not be so willing to jump from one domineering, hardware-producing ally to another. What are the 20 best smartphones in the world today?